Floral impression wall art on 16x 20 inch canvas. Learn some techniques to take home and paint your own wall art like a pro!! This class is being held in an awesome location in downtown Oakland right across from 12th Street BART station! 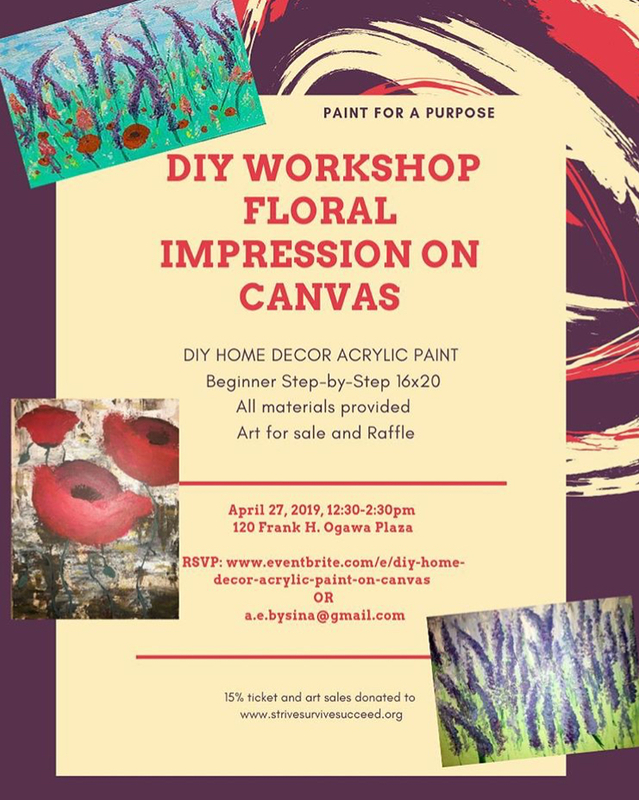 Materials provided: Canvas, easels, aprons, paint, tools and brushes. All ages are welcomed. There will be a raffle and art for sale. 15% of ticket and art sales will be donated to Strive Survive Succeed! Sign up today and share with a friend! Discount code for $15 off is ART15!